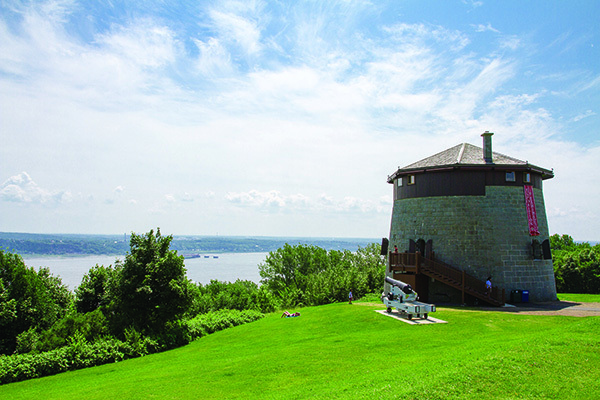 Get Your Green Fix in Québec City! 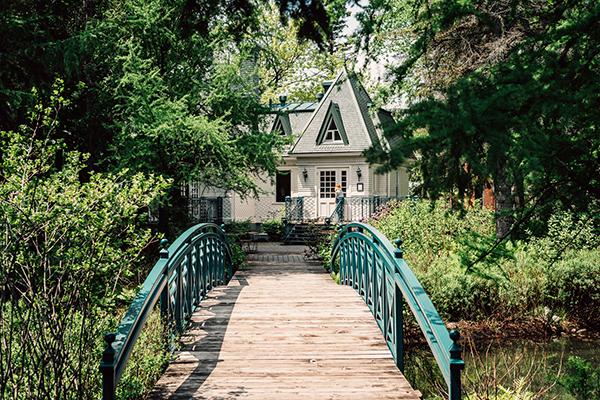 Any time you head into Old Québec—whether via Grande Allée in Upper Town or Boulevard Champlain in Lower Town—you’ll quickly see that Québec City is chock full of green spaces. 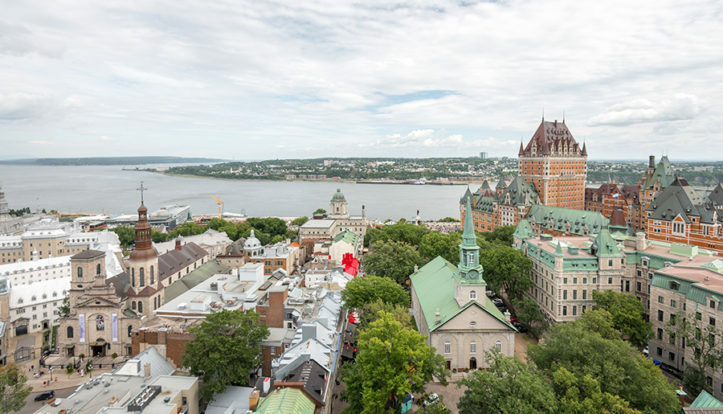 From private lots to balconies decked out with hanging planters, public squares, and major thoroughfares, everywhere you look there’s greenery, gorgeous trees, and a profusion of flowers setting off Québec City’s distinctive architecture. I have my own personal favorite spots for jogging, picnicking, or just sitting down to have an ice cream, read a book, or simply enjoy the moment. Bois-de-Coulonge park is one such spot. This park located on the west end of Grande Allée has a long history dating back to the 17th century. 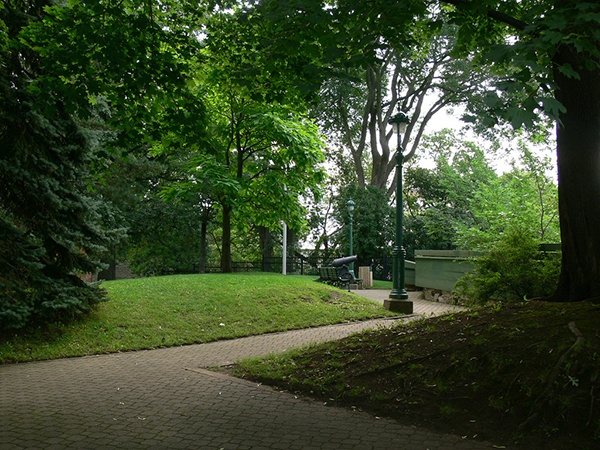 The 24 hectare space (which has changed names a few times, from châtellenie de Coulonge to Spencer Wood and then Bois-de-Coulonge) was the site of the lieutenant governor’s residence until it burned down in 1966, and has been used as a public park since 1970. What I love about Bois-de-Coulonge is that it’s perfect for so many outdoor activities all year round. You can ski, snowshoe, or take part in sugar shack activities in winter, and take long walks to admire the tulips and many varieties of rhododendrons and azaleas in the spring. The wide open spaces are great for kicking soccer balls or throwing Frisbees with friends, while the shady paths are a real lifesaver whenever I go jogging on hot summer days. The many mature trees and the view of the river and Anse au Foulon Marina also make it a fabulous place to visit in the fall. Whether you’re into sports or enjoying the great outdoors, this park is sure to keep you coming back for more. My second favorite park in Old Québec is Bastion-de-la-Reine, specifically Terrasse St-Denis on the east side of the park. 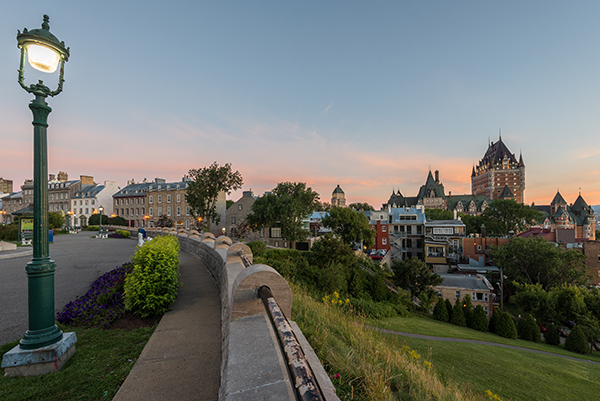 This park, which is part of the Plains of Abraham and borders the Citadelle of Québec’s glacis, offers a stunning view of lively Rue St-Denis in the foreground, as well as Promenade Dufferin, the St. Lawrence River all the way out to Île d’Orléans, and Château Frontenac, which dominates the unique urban landscape. Whether it’s at sunrise, in the middle of the day, or at that magic hour as the sun goes down and the city lights flicker on, this view never ceases to amaze and move me. I suggest coming first thing in the morning or in early evening for the most enchanting views. If you’re a photo buff and you want to capture a lasting memory of Québec City, this spot is a definite must. If you are staying at Hôtel Château Bellevue (link: https://search.iqrez.com/reservations/HotelChateauBellevue/search/?lang=en), feel free to ask our staff how to get to Terrasse St-Denis—it’s only 3 minutes from the hotel. I know there are other parks and gardens in Québec City I could have told you about, but there’s so many it’s hard to choose! And they all have their own atmospheres and activities to meet virtually any need, whether you’re looking for a place to go on a morning jog, to take a break from touring to eat a sandwich, or to let your kids run around to burn off their excess energy. No matter where you stay or visit, don’t hesitate to ask locals where the nearest park is—they’ll be happy to point you in the right direction. Until the next edition of our blog in August, I wish you a pleasant summer full of fun and new discoveries! Have a great summer!